Fans have been asking for it. Now, publisher of the Crash Bandicoot remake has officially announced that Spyro is coming back to only both the PS4 and Xbox One later this year. Spyro Reignited Trilogy, much like Crash Bandicoot N. Sane Trilogy, is going to have all first three games remade from the ground up and will be in one packaging. With all that announcement, Tom Kenny, the original voice-actor of Spyro in Spyro 2: Ripto’s Rage and Spyro: Year of the Dragon, is back to do the voice-over of our favorite purple dragon. The remake is done by the lead development studio Toys for Bob – the same game studio who is working on the Nintendo Switch port of Crash Bandicoot N. Sane Trilogy. 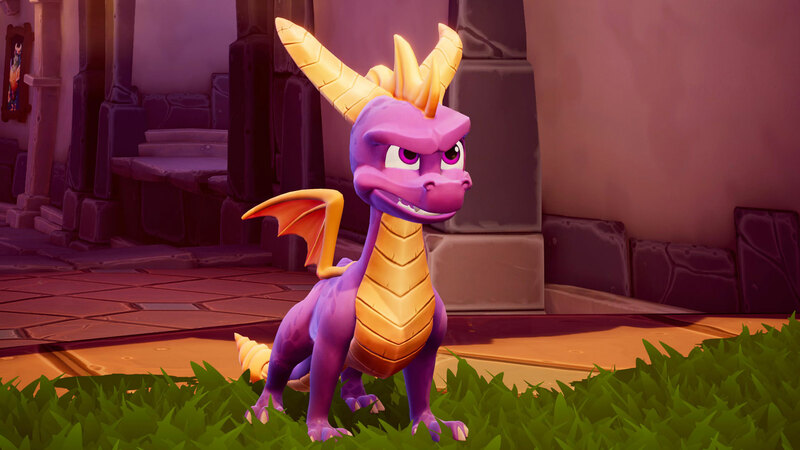 Spyro Reignited Trilogy is expected to feature all the same levels from its original games with richer visuals, the comeback of all key characters like Sparx the Dragonfly and Agent 9, and as well as recreated cinematics. Even if the PC and Nintendo Switch ports have not been announced, it’s clear that in the future, Spyro Reignited Trilogy will come to these platforms soon. Spyro Reignited Trilogy is going to launch on September 21, in celebration of the franchise’s 20th anniversary, on both PS4 and Xbox One. Established back in 2015, Sirus Gaming continues to provide unbiased reviews and coverage anything about gaming related... and geek stuff now!